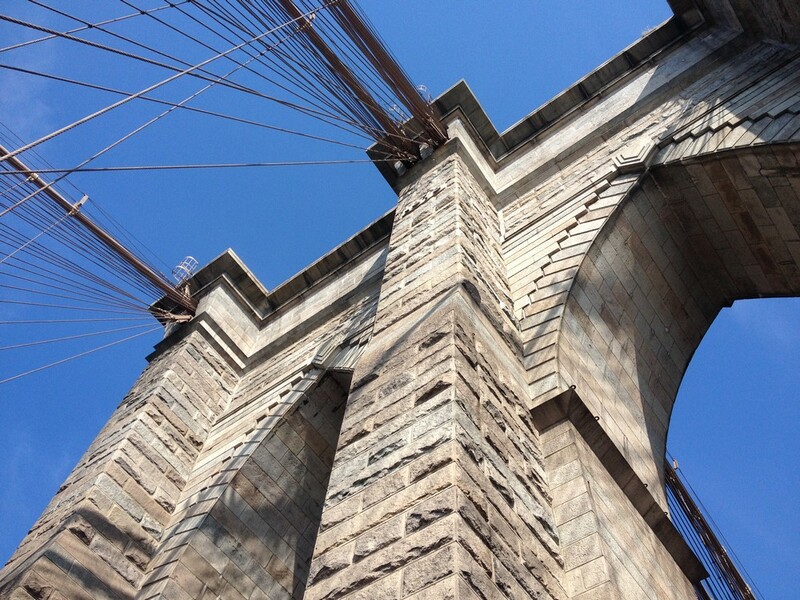 This well known bridge in New York City is one of the oldest suspension bridges in the United States. Completed in 1883, it connects the boroughs of Manhattan and Brooklyn by spanning the East River. 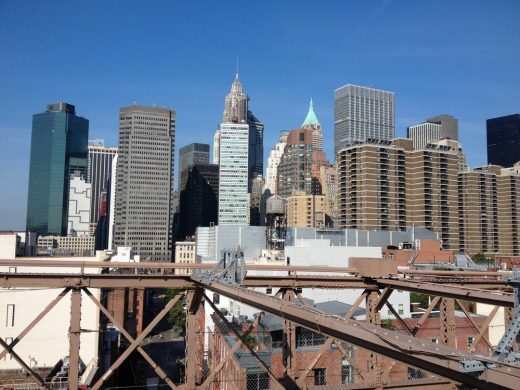 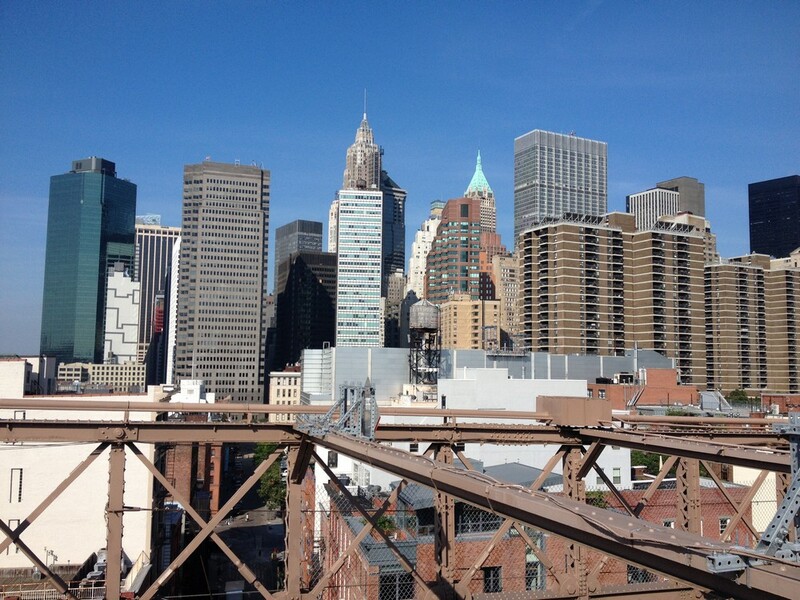 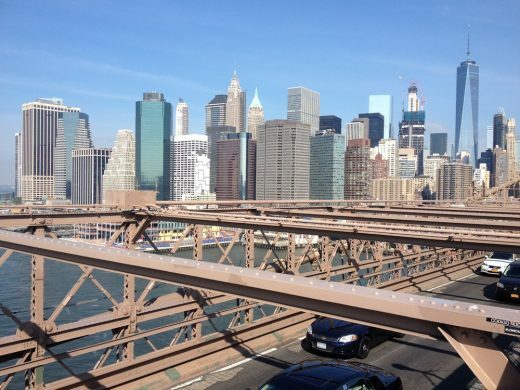 Crossing between Manhattan (at the west end) and Brooklyn (at the east end).